In 2029 machines have all but conquered the planet but a saviour is at hand in the form of a new human leader. 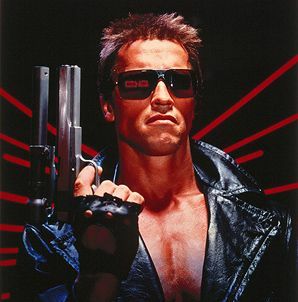 The machines respond by sending Schwarzenegger's cyborg back in time to 1984 on a mission to kill the future leader's mother. Inventive, excitingly paced science fiction adventure with a notable performance from Arnie in his first villainous role.